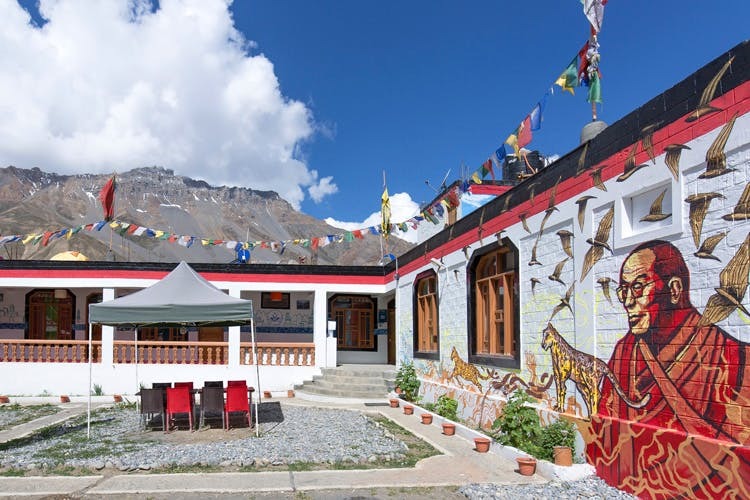 Zostel has opened up in Kaza, Spiti valley, making it Asia’s highest backpacker’s hostel. It’s open to travellers who want to soak in the quietness of the mountains. Tucked between Tibet and India, Spiti Valley is a beautiful desert mountain; serene and isolated with a breathtaking view of Leo village road. Accessible from Shimla and Manali, crossing either the Rohtang pass or Kunzum pass to get here, this quaint hostel in Spiti is a perfect getaway from city life. Explore the quiet life and culture of Spiti Valley, engage in some adventure sports, or just lay back and enjoy the cold breeze high in the mountains. If star-gazing is on the agenda, tents can be booked in advance. To be able to unwind in a peaceful, beautiful valley with affordable accommodation. Zostel in Spiti is a traveller’s dream come true. They offer deluxe private rooms, six-mixed dorm beds, and for the nature lovers, outdoor tents. We recommend to book your travel in advance, especially the private rooms. Book online here and follow them on Facebook here.